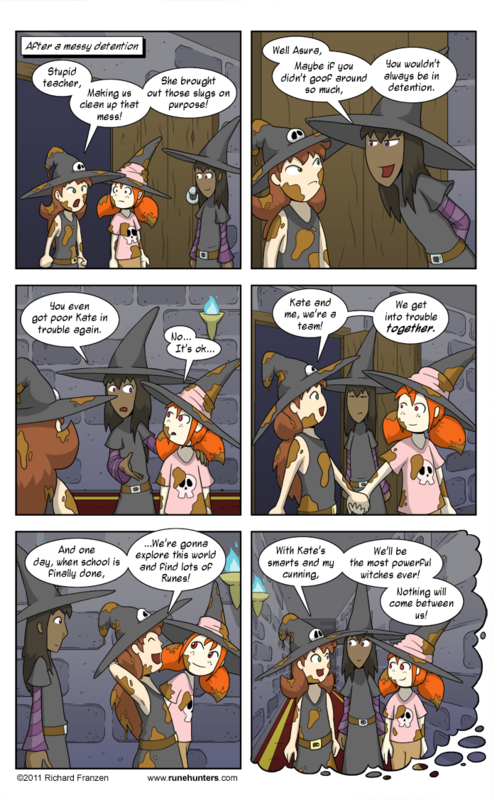 Asura and Kate probably should have listened to their friend Kara. If they had, they probably would not have gotten expelled years later. Well, if they did that, I wouldn’t really have a story to tell. You may be asking where Asura, Kate and Kara’s other friend is. Well, Holly is a younger student that jumped ahead in the grades. At the time of this flashback, she’s too young to even be enrolled in the magical academy.